So something you may not know about me is that I really don’t like to cook, but I do like to grill. And since my time is precious and could be spent writing a new novel for you, I spend as little time as possible in the kitchen. I don’t use recipes, but I do like to get creative and create some recipes myself. 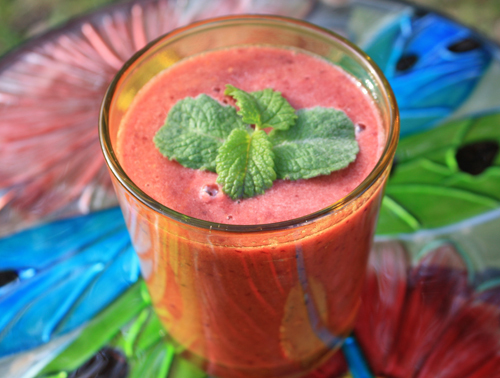 And one of my favorite parts of summer is waking up early and having a fruit smoothie out in my garden. 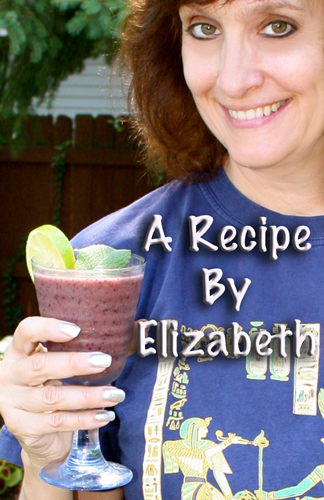 So here is my recipe for a fruit smoothie. Put all in a blender and blend until smooth. Then squeeze fresh lime juice over the top and garnish with fresh mint leaves. This makes enough for two. 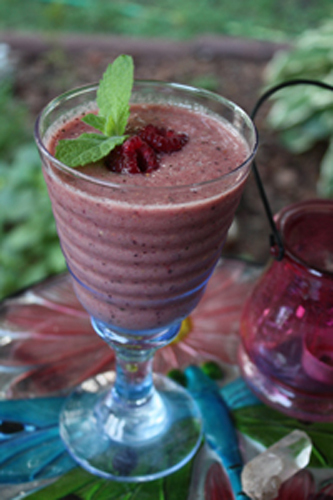 So lift your glass and enjoy a smoothie! Thanks Veronica, it tastes amazing too!